John Mueller is an author and technical editor who has written 103 books. Some of his current works include Python development books. 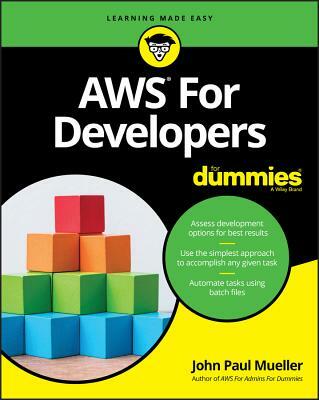 He has also written AWS For Admins For Dummies, which provides administrators a great place to start with Amazon Web Services (AWS). John has had an interest in AWS since its inception. In fact, he wrote Mining Amazon Web Services based on that humble beginning. Be sure to read John's blog at http: //blog.johnmuellerbooks.com/.